Will there be a newer Verbix version? Yes, there will. This is the first time I mention about the upcoming Verbix 9. 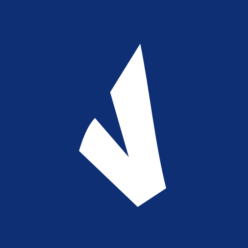 The aim in this new version is to make Verbix for Windows even easier to use than the previous versions. That said, I dare to attach the first screenshot of Verbix 9 verb conjugator here. The languages are now represented in a list. There will be an efficient filter that makes it easy to keep just a handful of languages in the list. Or the user can also have the complete list of 200+ languages there. 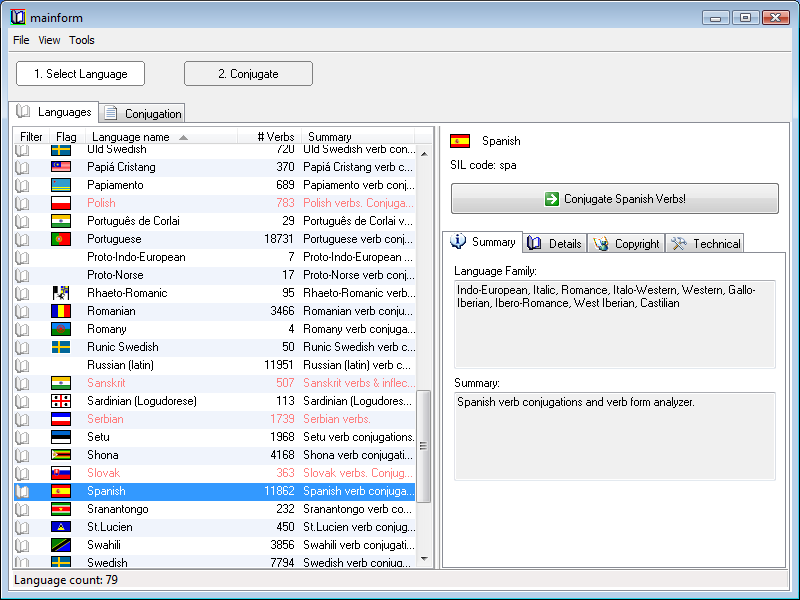 For each language Verbix 9 also shows additional language related information on additional 4 tabs as seen in the screenshot. Because many of the languages are developed and maintained by others, there is copyright and contact information for each language in Verbix. Feel free to send us feedback and wishes for the upcoming Verbix 9 verb conjugator.